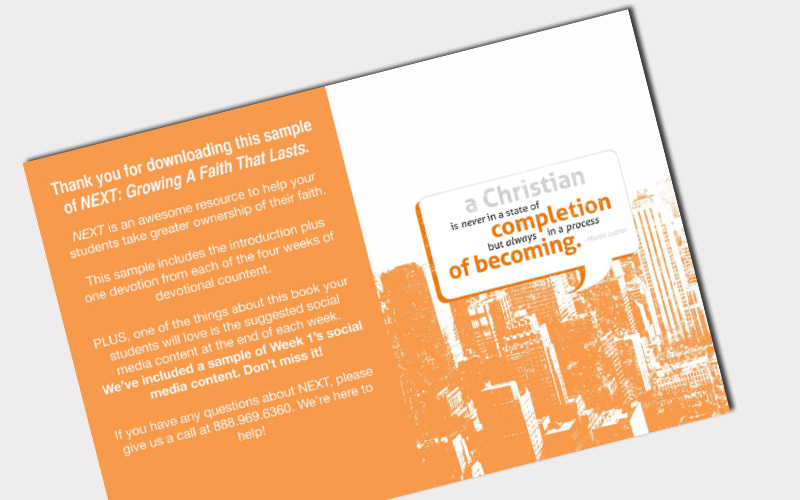 What if there were a resource to help students take ownership of their faith? Well, now there is. Introducing NEXT: A 4-week devotional journal that helps challenge and equip your students to take ownership of growing deeper in their faith. What if there were a resource to help students take ownership of their faith? Well, now there is. 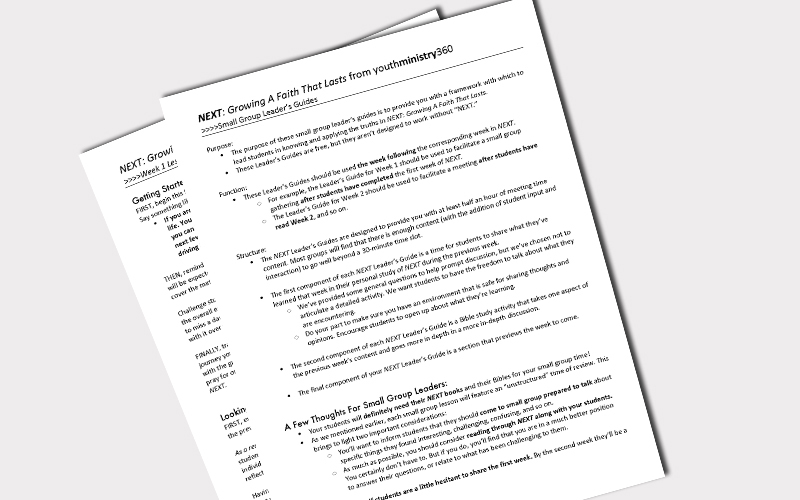 Introducing "NEXT," the 4-week devotional journal that helps challenge and equip your students to take ownership of growing deeper in their faith. Next will Teach Your Teens . . .
NEXT is the second devotional experience in our New/Next/Now Discipleship Series. To learn more about, and to purchase the entire series, please click here. Download the Introduction and the entire first week of dynamic daily devotions from Next. In this video, Andy Blanks gives an overview of Next, and provides a glimpse into exactly what this resource is all about. This Leader’s Guide turns NEXT into the “out-of-class piece” for a 4-week Bible Study. And it's free. Full download available on page 2 once purchased!